These days, you don’t have to be an expert to have a crack at underwater photography. Chris Eyre-Walker offers his top tips for getting started below the surface. If there’s any one type of photography that has opened up to the masses in recent years it has to be taking images underwater. No longer do you need to own expensive, heavy equipment to jump in and take a snap of the charming manta rays you’ve travelled halfway around the world to see. For me, getting beneath the surface is one of the most interesting ways to take photographs. It involves putting yourself in a completely different and unusual environment, and allows you to share your experiences and perspectives of a world rarely seen by others. It might not be the easiest of places to take a camera into, but these basic tips will hopefully inspire you and help you capture better photos when you’re floating in the big blue sea. A surfer’s hand as he paddles a wave at sunset. As an Olympus Visionary I am fortunate enough to have access to high-end professional cameras and dive housings, but that doesn’t mean you can’t take good underwater photos with much less. There is a whole range of small cameras that can be taken underwater without any extra housing. With technology improving at rapid speed, these gadgets can take excellent images, plus they’re much more compact, easier to use and don’t distract as much from the experience. 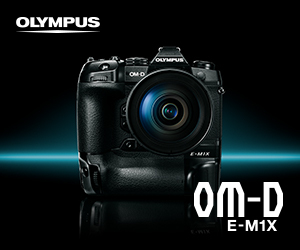 I recommend the Olympus Tough series if you want a camera that can be taken on every adventure into all kinds of environments. The latest model is the TG-4. It weighs about 250 grams, is shock proof (just in case you bump it on rocks or a jetty as you’re getting in – investing in a silicone jacket is always a good idea though) and waterproof up to 15 metres, so it’s perfect for snorkelling, surfing and most dives. These point-and-shoots really take the complications away and allow you to focus on what you’re actually supposed to be doing: having fun! You might also want to invest a few dollars in a neoprene wrist strap. Even if you manage to let go of your camera before you safely slip your hand through the loop, this will float it to the surface of the water for easy retrieval. A curious blue stripe clownfish checks out the camera. There are two types of underwater shots you should concentrate on perfecting when you first have a go at the medium. The first one is close-up (macro) shots of fish and details in coral. Get as close as you possibly can (it’s even better if you are on the same level as them) to reduce the amount of water and floating specks between you and your subject. Then there are scenic underwater landscapes taking in corals, kelp forests or any other interesting feature below the surface. Obviously you’ll need to be in really clear water for these kinds of shots. Try shooting these types of images with the flash off. Like most compact cameras, the in-built flashes on these waterproof models aren’t particularly strong and the light doesn’t travel very far through the water; it will also eliminate the glowing particle issue mentioned before. You don’t need a dive certificate to take underwater photos. I don’t have one. I just train my lungs and shoot a lot while snorkelling shallow reefs. And, in fact, when you’re getting used to how your camera works underwater it’s better not to have to be thinking about how much air you’ve got in your tank. Standing on a sandy bottom while you’re playing with settings isn’t a bad way to get started either. The main factor to remember is that sunlight is your friend. Slather on the SPF 50 and get in the water when the sun is high overhead. It will shine right down into the depths and help light your underwater landscapes naturally. It’s also better to shoot up-current as you will reduce the amount of sand you might have kicked up from the ocean floor. Coral landscapes in French Polynesia. It’s easy to get distracted taking pictures underwater, but you should make sure you never put yourself in any danger. Always be aware of the current, waves, tides, the reef and your surroundings above and below the surface. I keep a reference point or two so I know when I’m drifting off course. Remember you should never touch the coral reef, but if you can find a good sturdy rock at a comfortable depth, grabbing hold of it with one hand (wear lightweight gloves to avoid cuts) can help you steady yourself while you’re taking photos. Above all, stay within your comfort zone – taking pictures can be quite distracting, and if you’re also worried about being dragged away by a rip you won’t have fun or take any good photos. There’s more to shoot underwater than what, at first, you might think. Mostly, I’ve mentioned fish and coral, but you should push the boundaries a little. Dive a little deeper, quite literally, and shoot back up towards the surface, or bring subjects or objects with you into the underwater world. For instance, a person wearing a red rashie will be a startling contrast to the blue world around them. 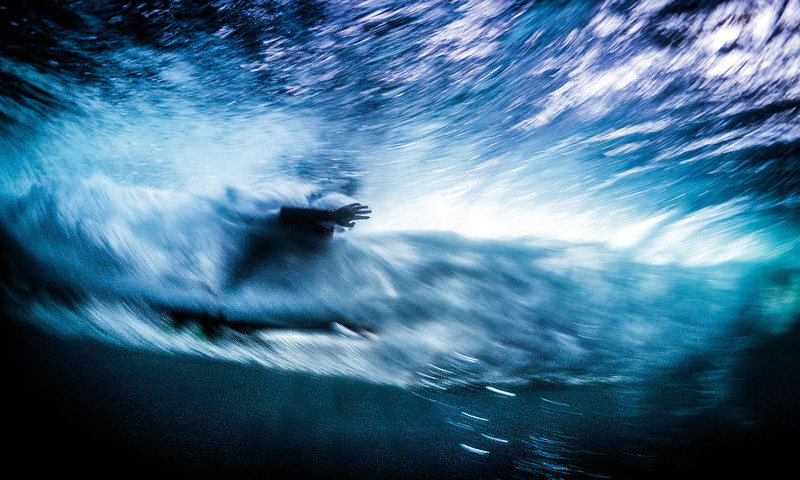 Why not shoot some surfers or waves from below the surface? There are other ways you can experiment too: try taking your camera into the water at different times of the day or when it’s raining to see how the changing light and conditions affect your photos. You can also buy yourself a little dive torch to add some artificial light that doesn’t come from your flash. In this digital age, you should just go ahead and shoot as many experimental frames as you like, just to see how the camera works and what you can do with it. Get creative by adding a person to your underwater shots.